Alcohol is America’s legal drug. It is plentifully available, and aggressively pushed to consumers. In Florida you can buy it at Publix, 7-11, ball games, and seemingly every other corner. Unfortunately many Florida residents choose to consume alcohol before getting behind the wheel. 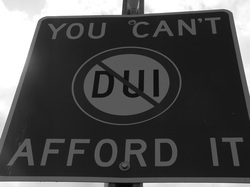 If you are driving with a blood alcohol concentration of 0.08 or higher, you can be charged with a DUI offense. Civil. The Florida Department of Highway Safety and Motor Vehicles will suspend your license for 6 months if you had a blood alcohol of .08 or above and for 1 year if you refused to submit to the test. You must request a formal review within 10 days of the arrest or charge. Criminal. The State Attorney will criminally prosecute you for the DUI, which is punishable by up to 6 months in the county jail, and/or heavy probation with a mandatory adjudication of guilt. What to do when charged with a DUI? If you are charged with a DUI in Florida, the first thing you should do is talk to a criminal defense attorney who specializes in DUI charges. A lawyer can examine your case and explain your options. Put the breathalyzer (used to establish blood alcohol level) on trial by ensuing it was properly maintained and in working order at the time of your arrest. Grade the office who did the Field Sobriety Test according to applicable standards established by The National Highway and Safety Administration (NHSTA). Press the State to reduce the charge to a reckless or careless driving charge. Point out unique factors about you such as physical injury or medical history, which might explain why the officer mistook you for being impaired by alcohol. Argue those aspects of your behavior that show non-impairment. Being charged with a DUI in Florida is a very serious offense. Do not take it lightly – the prosecution surely will not. Contact a Hobson Law Firm Florida DUI attorney today to discuss your case.